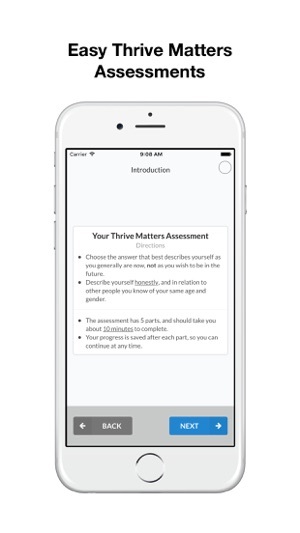 Thrive Matters is a talent accelerator platform, designed to give users insights into their talents and how to leverage them. 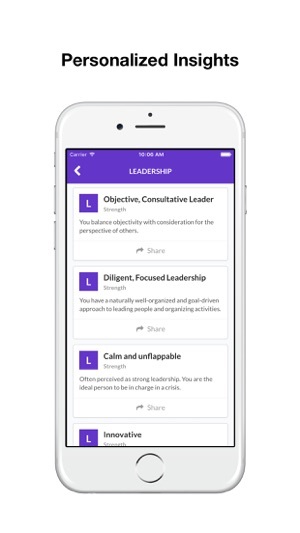 Each person is taken through an easy to use, scientific psychometric that provides a comprehensive profile identifying strengths in leadership, influence, sociability, work, negotiation, wellness and potential. Only 30% of people know their strengths and even those who do, are often unaware of the ways that they can use these strengths. 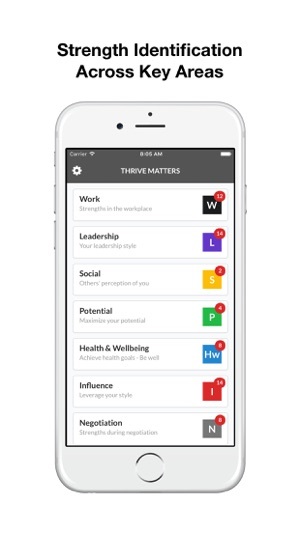 Thrive Matters provides personalized insights on how to accelerate at work and in personal development. - 7 key areas of talent identification – leadership, influence, sociability, work, negotiation, wellness and potential. - All analysis based on scientifically validated research. - Personalized insights from psychologists based on your unique responses. - Provides development tips for all seven areas important for your professional and personal growth. - Personalized notes on areas to ‘watch out for’. - Completely self-service. Share only the strengths you choose to share. - Optional reminders and notifications on utilizing your strengths. - iOS 11 notifications crash fix. Really good app with great insights. © 2018 Communication Labs, Ltd.